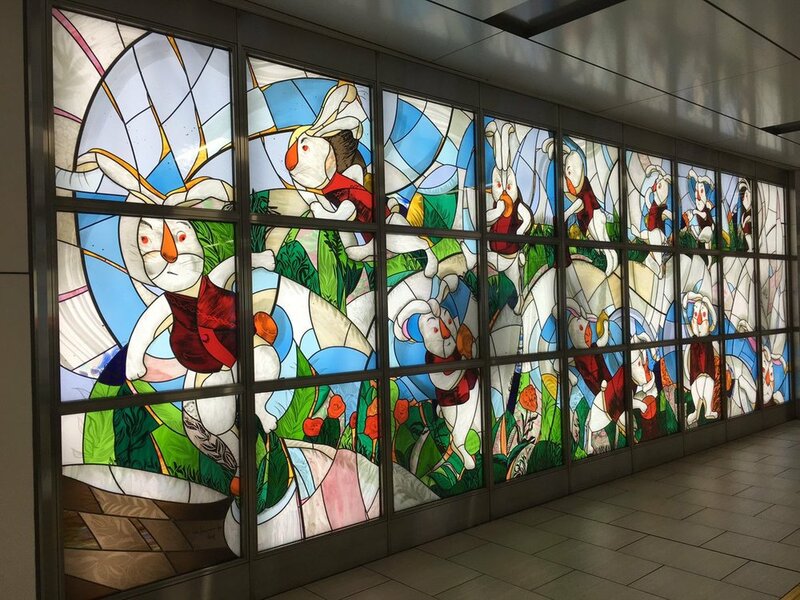 This stained-glass mural is titled as “Hop, Step, Hop, Step” created by the etching print artist Yoko Yamamoto. Busy looking rabbit is wearing a red waistcoat and holding a pocket watch. Obviously, she created her work based on a famous British Children’s literature. "Hop, Step, Hop, Step" by Yoko Yamamoto In Tokyo Metro Station Art Gallery at Fukutoshin Line Shinjuku 3rd St. Sta.